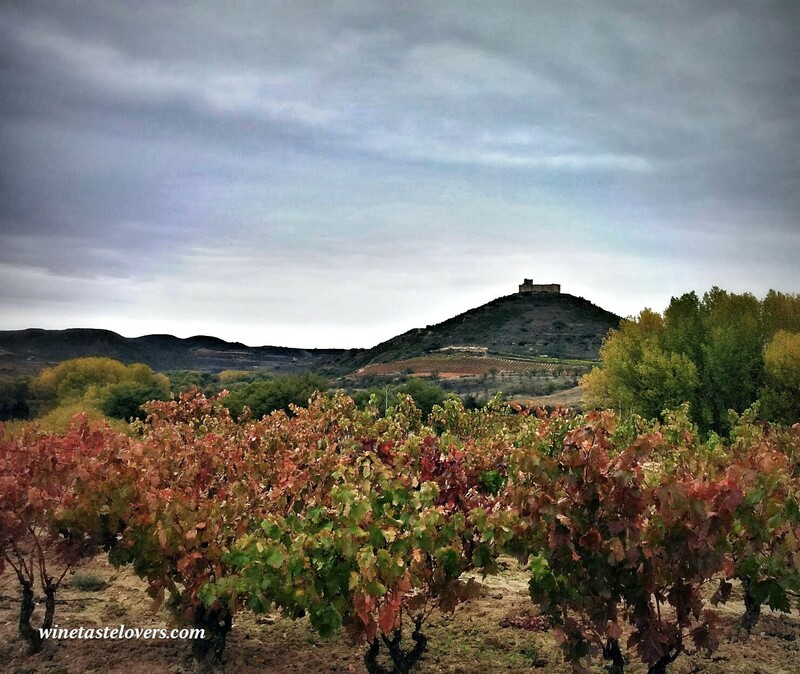 1º Tour between Rioja wineyards: Stimulate your senses watching our colourful landscapes where “guardaviñas” (shelters) and medieval castles were built between vineyards. In addition, we will stop along the way in order to take some pics. 2º Visiting our Centennial Winery: in 2018 we decided buy a small winery built on 1881. Discover this treasure. We’ll taste a wine from the barrel in our cave… and if you choose an option with lunch you’ll have a lunch inside a barrel. 3ª Wine tastings tour: We will discover the “Barrio de la Estación” (Station Quarter) in Haro, the place where is the biggest crowd of Centennial wineries around the world. We have selected the most emblematic wineries to taste the best wines of Rioja Alta (We can choose some alternatives if you prefer different wineries). 1º Ruta entre viñedos de Rioja: Estimula tus sentidos observando paisajes llenos de color donde, entre viñedos, se construyeron “guardaviñas” y castillos medievales. Además, pararemos en el camino para que puedas tomar algunas fotos. 2º Visita una Bodega Centenaria: En 2018 decidimos comprar una pequeña bodega construida en 1881. Descubre este tesoro. Cataremos vino de la propia barrica en nuestro calado (cueva)… y si eliges una opcion con almuerzo lo harás dentro de una gran barrica (tina). Hi I’m just enquiring where this tour leaves from? The route leaves mainly from Logroño but it can be from different places. Where will be your hotel? Which day will be the route? And how many persons? Hello, my husband and I are interested in a tour with new and classic bodegas with lunch if possible. Would you be available July 7 ( we are open to joining with others)? Gracias! Please let me know if you can accommodate. In any case I can offer full day tours, 1/2 day tours or customized winetours, including hotel or anything you want. Hola Jose…por favor verifica my e-mail con respecto a una reservacion para el dia Julio27, 2016 para dos adultos. Dejame saber si es posible. Gracias. Can we book this tour for tomorrow? We can leave any time. There are two of us and we are staying at the Marques de Vallejo. See you tomorrow if you not say me anything else. Hi. I am here in Logrono and would love to take a tour if you have any availability for one person Tuesday the 20th. Please respond either way. Thanks! I can do morning/and or afternoon whatever you jabber. Hola! We are in Logroño this weekend and would like to do a winery tours with tastings at each winery. There are three of us and we woukd like to do the tour tomorrow. We tried calling your phone number but there was no answer. We wouls love to hear from you. Hola! A friend and I will be visiting La Rioja in June 2017 and we would like to do a wine tour. Do you pick up from Elciego? I am visiting Logrono in a few weeks. I am interested in a full day wine tasting in Rioja including architectural winery such as marques de fiscal. Please let me know what you recommend. Thank you. I sent you an email. Say me if you received it. We are in Logrono and are interested in doing a wine tour tomorrow 20th June for two people. We are hoping you might have a last minute availability. hello, interested in doing a tour for 2, but we are in san sebastián. if we take the bus it doesn’t arrive until noon. what time are your tours? Hi, my wife and I are celebrating our 25th wedding anniversary and would love a private tour of Rioja for the day, March 20. We will be staying at the Parador de Santo Domingo de la Calzada. Is this feasible? We will have a rental car. Thanks. I sent you a mail now. Hello. We are very interested in taking a tour the first week of April. We will be staying in San Sebastián. Do you have departures from there? I sent you a mail with the details. Buenos días. Mi esposo y yo estamos interesados en el Rioja Tasting Travel. Vamos a estar el día 18 de Abril en Burgos. De tomar el tour, quisiéramos saber si podrían recogernos desde nuestro hotel en Burgos, o tendríamos que ir a Logroño? y ¿A qué hora empezaría el tour? Somos un grupo de 10 personas y queremos hacer el Tour de 1/2 día con almuerzo. Tenemos un coche para los dos que no podrán ir contigo. Nos das precios por favor para los dos que irán en su propio coche y nos dices si hay disponibilidad para el 14/04? Hello. I’m interested in a wine tour on June 30th with my husband. We are happy to join a small group. Please let me know how to reserve. I sent you a mail with the details and you can reserve by mail. We are three people with two of us celebrating birthdays. Would you have availability for a tour on October 19, 20 or 21. We would like lunch, too! Thank you. My husband and I had such an amazing tour with José, one of the best experiences we’ve had in Spain so far. I would definitely recommend the lunch at his winery as well. He grills the lamb right there on site and it’s tender and delicious. The wine is excellent as well! All of the wineries and vineyards we visited were fantastic and we learned so much. Five star tour, thank you!